Sometimes I like to imagine myself sitting under the Eiffel Tower sipping a café au lait, a fresh baguette in my bag. There's something about the Parisian lifestyle that calms my soul. Maybe it's the beauty. Maybe it's the amour. Or maybe... it's the food. 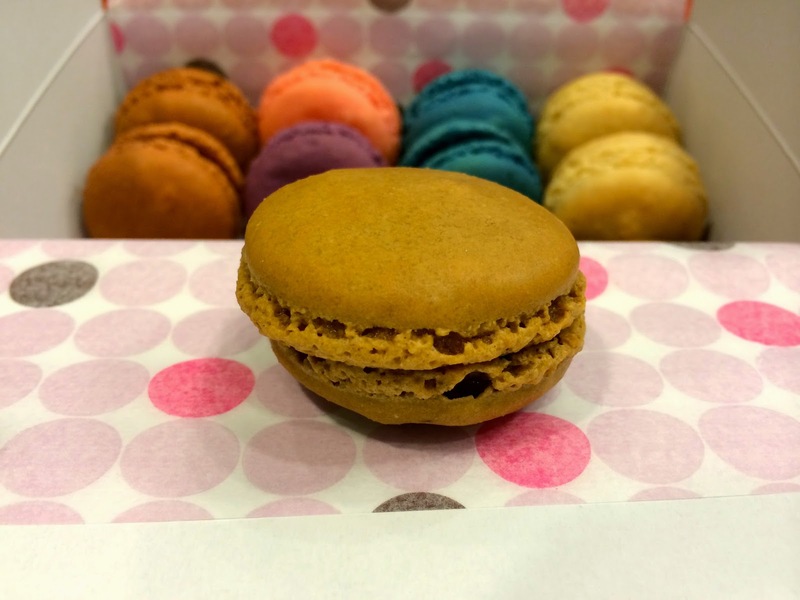 French food is the ultimate comfort food in my book, and my favorite comfort is macarons. I tried my first macaron a few years back and it was love at first bite. Ever since I've been smitten for these tasty treats. 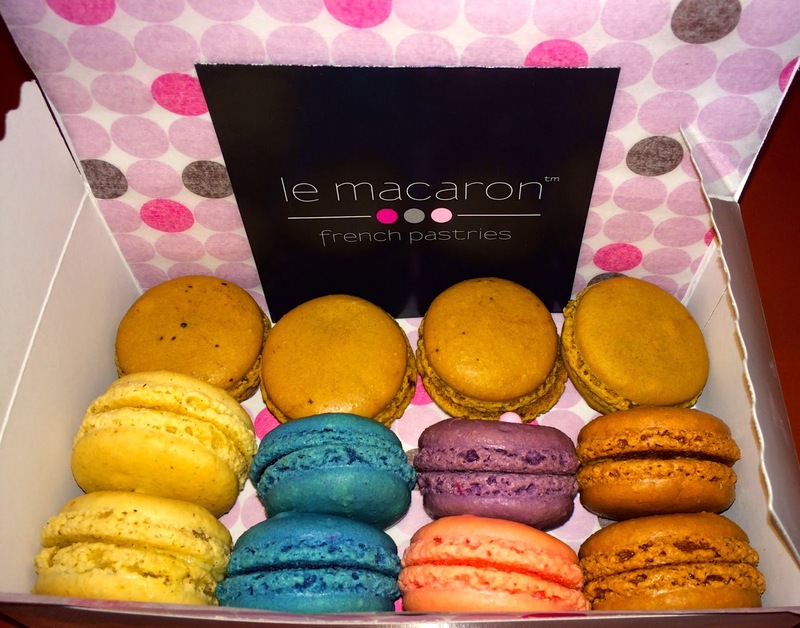 I was looking for a little luxurious comfort yesterday and decided to pick up a box of macarons from one of my favorite places Le Macaron. I love Le Macaron because it's authentic and everything is natural. This time I decided to try out a few different flavors and thought I'd share them with you. 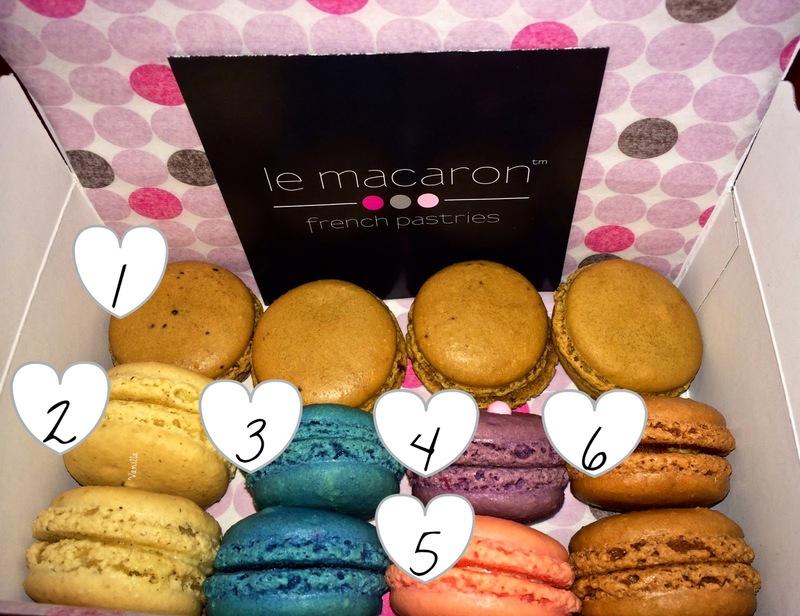 If you've never tried a true French Macaron this is a great guide for the beginner. 1. Colombian Coffee I love coffee flavored anything, so I had to grab 4 of these guys. They have a rich coffee flavor with the perfect touch of sweetness. 2. Madagascar Black Vanilla Imagine your favorite vanilla bean ice cream, this macaron is a classic. 3. Black Currant This was actually my first from Le Macaron. It tastes like a blackberry jam a little sweet, a little tart. 4. Lavender This one is hard to describe. It's mild like the scent of lavender with a sweet side. 5. Rose When the girl at the store told me this one "tastes like a rose smells" I thought it was a little strange, but after trying it that truly is the best description. It's smooth and sharp at the same time. 6. Caramel Salted Butter This one has a very unique flavor. It definitely has a buttery taste with just a hint of caramel. I wasn't as fond of this one. It reminded me a bit of buttered popcorn. If you are a coffee fan you will be coming back for these babies again and again. What's your favorite flavor? Which of these would you like to try? These look awesome Samantha! Have you ever tried making them at home? I really enjoyed visiting your blog. Happy writing! Thank you! I haven't tried it. I'm not much of a baker, but my best friend is. I've been telling her we need to give it a go. Hi Samantha! I just discovered your blog via The College Prepster and I find it super cute! It's a follow :) These macarons look amazing! Just one thing, it's Colombian, not Columbian. I haven't heard yet of any coffee plantations in the District of Columbia ;) It's not me being a grammar nazi, I happen to come from Colombia. Anyways, I haven't seen a Colombian coffee macaron here in Germany, I'd love to try one as well!